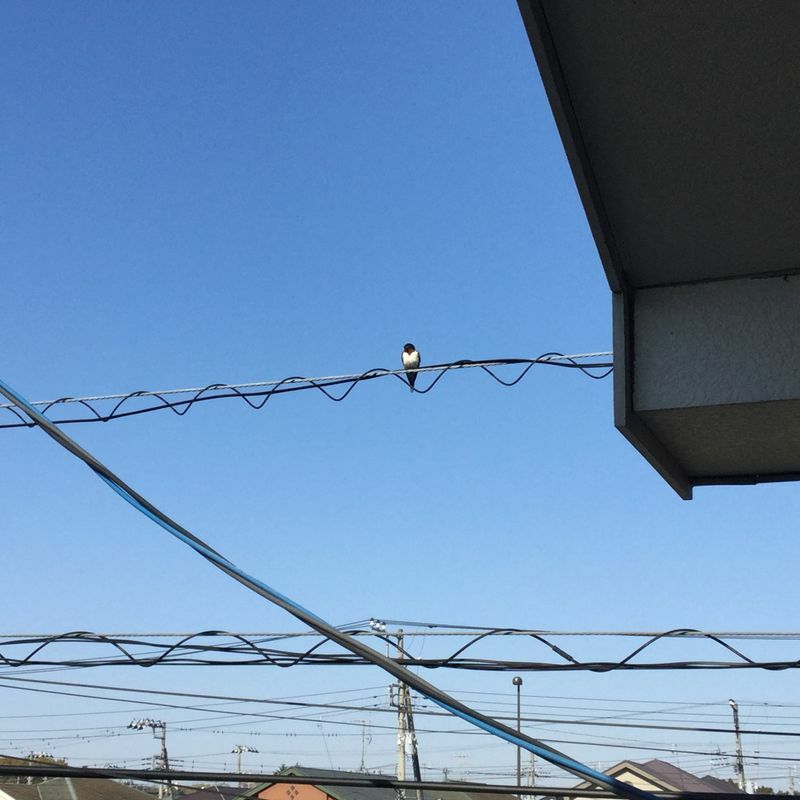 This morning, barn swallows were perching on the power lines outside my living room window. This is my second year at this apartment, and the first time I’ve seen swallows nesting. They’ve chosen a spot on top of a vent, and mercifully the vent is not above a veranda, and directly below is a flower box. Im so glad they’re here. Across the road from the building is a canal, perfect habitat for mosquitoes who lie in wait for people putting out laundry on their verandas. All you can eat, ladies and gentlemen! Utagawa Hiroshige made amusing images of all kinds of animals. 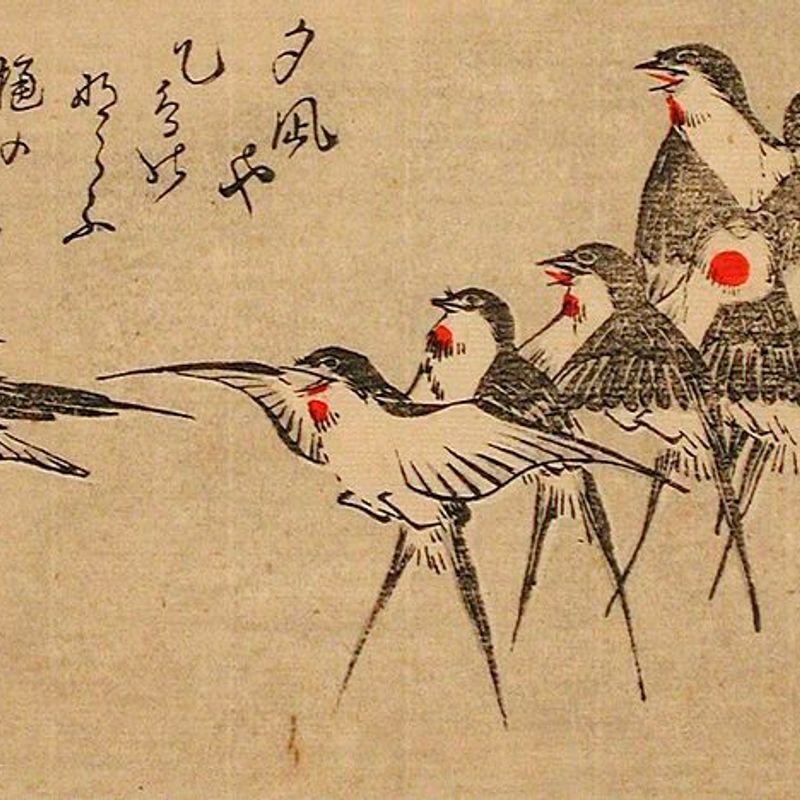 Dancing swallows, too.